Then you demand a trial by combat when you're arrested. Obviously. That, and Jaime's epic: "Has anyone ever told you you're as boring as you are ugly?" are both top scorers in getting your point across. Though don't kill a man. 'Tis bad luck. And if they respond with 'Valar Dohaeris' you'll know they are feeling the keen loss of Game of Thrones just as badly as you are! 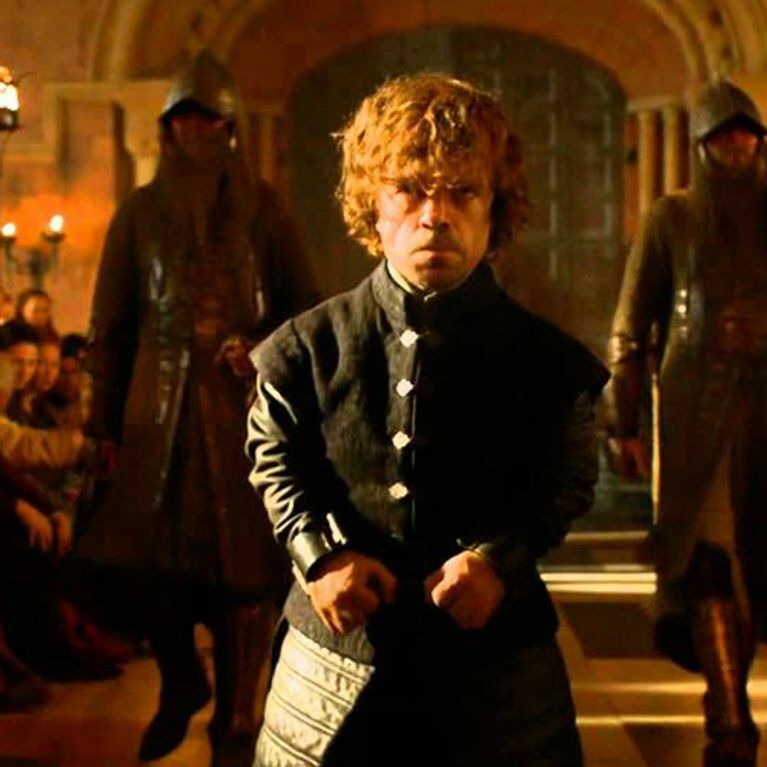 Inside HBO’s Game of Thrones: Seasons 3 & 4 is a good start. We need details. Copious details. We couldn't tell you the names of every British King and Queen, but we could tell you all about the line of succession in GoT, no problem. On a scale from 1 to Sansa Stark, how much do you regret your childhood crush? It's much nicer than being called ginger anyway! What do they know about winter? They know nothing (Jon Snow) etc etc. Game of Thrones has officially made it so no character in anything is safe anymore. Thanks, George RR Martin. Unless you're one of those Lord of Light hippies. In which place GTFO. It is known that you do this. In the game of Connect 4 you win or you die. There is no middle ground. Or a couple of hamsters. Or goldfish. Either way, if at least one isn't called Ghost, you've failed as a fan. Watching your great Aunt get hammered and the married couple dance to Adele was NOT your idea of what happened at a wedding. Not a single member of that band has a crossbow! We can't avoid the John Lewis advert forever. Winter is coming. Girl can eat some lemon cakes. Bonus points if you know all the words!